haha damn you Cam. No I mean shoulder high to an average man . Ok im loaded. i reckon Taylors will have slightly smaller surf. What max reading on Harbour Conditions shall we draw the line at ? 1.2m ? Yep, 1.2m is reasonable. Long period swell at the moment, so even at that size, it will still have some push. How regular were the sets? Getting further apart? Good sign if they are. No didnt have to wait long for sets. I can go sunday if better. Scotty did you go up the Coro ? Mate, should have dragged this photo out 3 days ago. Love fishing, love my job. It's a bloody shame that they clash. Yep, can do Sunday as well if tomorrow is marginal. Man, that fish never disappoints Potty, what a horse! I'll check it before 6am. Where you guys heading tomorrow? Taylors if its sweet Muse. Hey guys, boat sold and ordered my reload today, be ready next week sometime. Would be keen to tag along one day if thats cool. Going to wait to see how I get on before fitting a sounder, sure to be a few wipe outs at the start!! Starting to shop around, thinking 5 inch lowrance maybe? ran a 7 on the boat but maybe too wide? 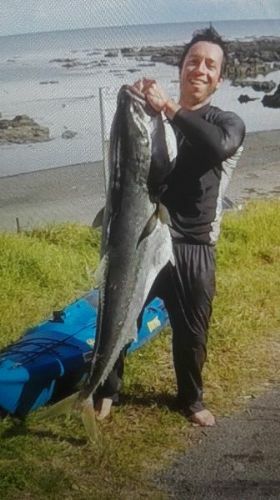 14foot nice on the yak. Feel free to tag along anytime. I dont think it matters with the fishfinder what size. 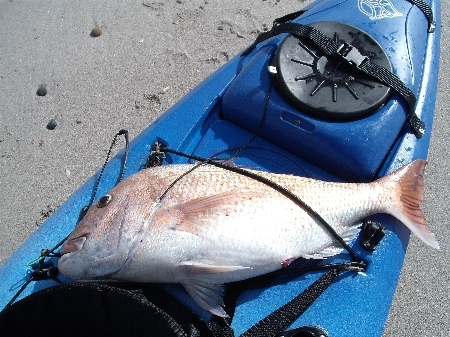 If you have the coin go bigger but it is a harsh environment on a kayak. I recommend been able to easily unclip and unplug the unit for stowage through surf and use lanocote grease on the plug and socket contacts and battery lugs for longetivity. Even then i sometimes have to crimp on new battery plugs as the old give up to salt water. 14FC, I run a 5inch garmin striker which seems a good size on the yak. I think a few guys run 7's but don't know if you'll need it. Be worth getting a li-ion battery if you go to a 7.
thats the right call Muse as I dont see it dropping sunday and theres a 10 knot south easterly now. Cheers for the replies guys, will check out the Garmin units too and make sure it can come off easy. Was thinking a railblazer slider with unit in the middle and a holder either side. Looking forward to getting out there!! Looking at heading out tomorrow from Harrisons around 6.30am if anyone's gonna be around. This page was generated in 0.714 seconds.